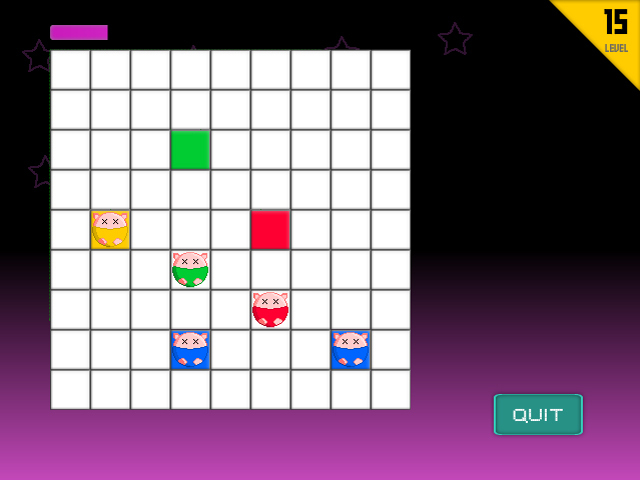 Think two steps ahead in Slidern and put the pigs back into their colorful pens! 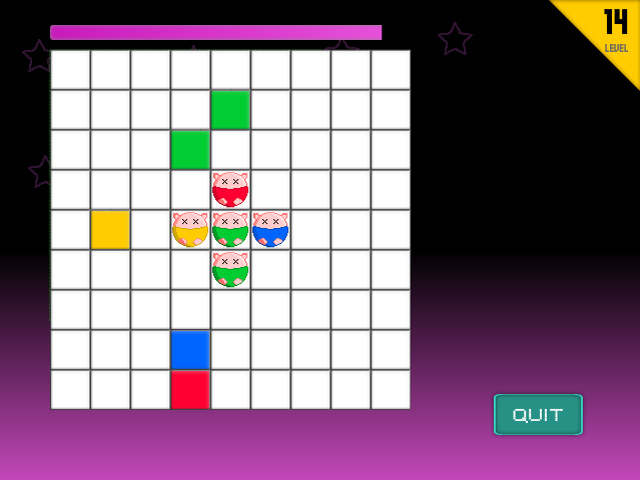 Use as few moves as you can to solve each Puzzle! 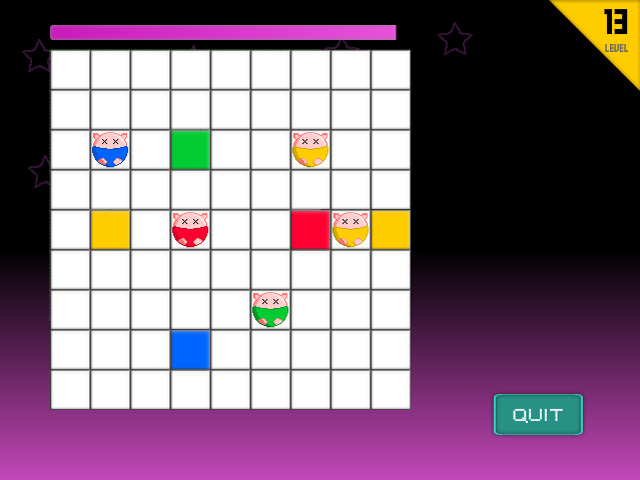 Use your wits to progress through each level and master Slidern!